THE SQUIRE’S LANDING ARRIVES AT WORLD’S BEST MICROBREWERY LOCATION! 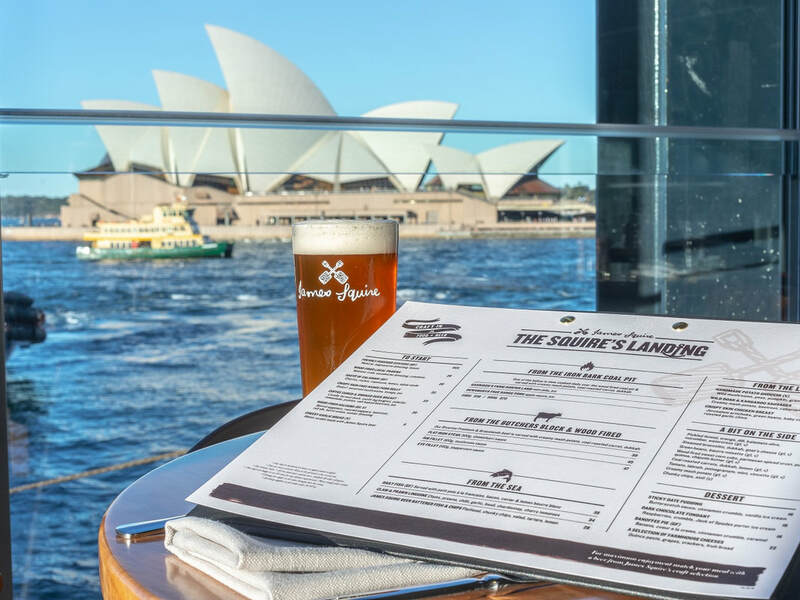 The Squire’s Landing has officially arrived at Circular Quay’s Overseas Passenger terminal –with panoramic views of the Opera House and Sydney Harbour Bridge. Housing a two-storey restaurant, The Squire’s Landing features a freestanding fully-glazed microbrewery, architecturally designed amid money-can’t-buy-views of Sydney’s most famous landmarks. 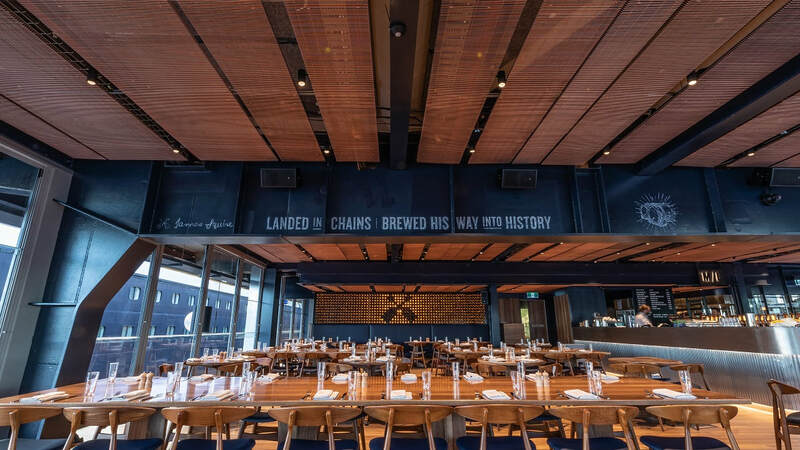 As Australia’s newest James Squire flagship, The Squire’s Landing is a partnership between Mantle Group Hospitality and Lion, and tells the legendary tale of James Squire, a convict on the First Fleet and Australia’s first brewer. Lion’s Head of Craft Gordon Treanor said it was exciting to see this state-of-the-art venue come to life, which promises to be a mecca for craft beer fans from around the world. “We are enormously proud to be launching the flagship James Squire microbrewery in Sydney which is also the home of the James Squire brand. 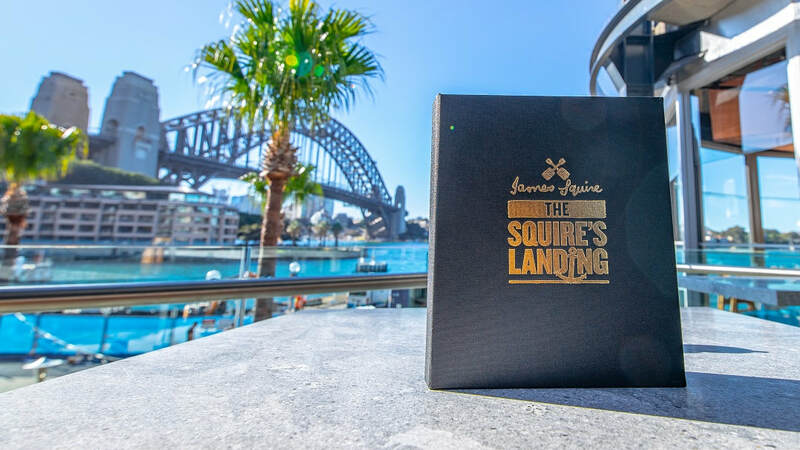 It’s only fitting that The Squire’s Landing is located in such an iconic location so close to where James Squire first landed in Australia on the first fleet,” said Gordon. The venue’s Head Brewer, Peter Merrington, will be permanently based onsite crafting exclusive small-batch brews, and delivering James Squire Limited Releases and its nine core range beers and ciders. “We’ll have some of the freshest beer being served in Sydney and a range exclusive to The Squire’s Landing. We’ll also be able to honour the legend that is James Squire, at the same location where he first set foot on Australian soil almost 230 years ago,” said Peter. At the official venue launch, The Squire’s Landing will be one of the only places in Australia to serve the world’s oldest surviving beer made new, The Wreck, which has extremely scarce and limited supply. James Squire’s most rare and special beer to date was crafted using 220-year old yeast discovered in the depths of Australia’s oldest merchant shipwreck, Sydney Cove. Multiple external decks and terraces offer an open-air dining experience and the ultimate spot to host any function. The Squire’s Landing menu is set to tantalise tastebuds with its collection of uniquely modern Australian flavours, designed by Head Chef, Angus Harrison, in collaboration with Mantle Group Hospitality’s Executive Chef, Deniz Coskun. Ovens, a custom-made Manhorne BBQ Smoker, rotisserie over an iron bark coal pit and wood-fire grill fuelled by Turkish charcoal. The venue will be open for lunch and dinner initially with breakfast soon to follow. The Squire’s Landing will be the seventh James Squire Brewhouse in Australia - complementing existing Brewhouses in Brisbane, Newcastle, Melbourne, Adelaide and Perth.